Home » Articles » Should I Buy an Apple Watch ? Should I Buy an Apple Watch ? Now that the Apple Watch has been out for a couple months a big question is, what’s the point? 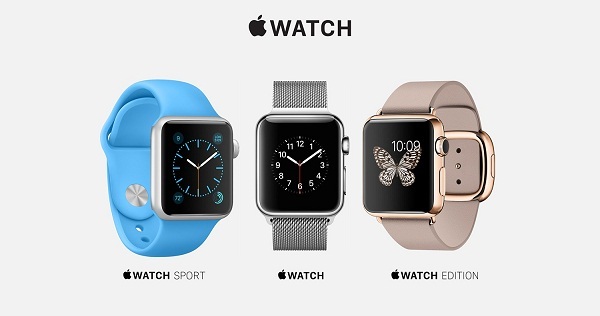 The thing is you have to look at wearables like the Apple Watch differently, this isn’t a smartphone replacement. The biggest limitation is a simple one, you’re working with a small screen. Even the larger 42 millimeter watch is sporting a 1.5 inch display and while having a touchscreen and the Digital Crown makes navigating watchOS fairly easy the simple fact is there’s only so much you can do on a small screen. There are apps available and they’re mostly terrible. Some of the built-in Apple apps are decent but most are plagued with long loading times. A few apps are relatively decent but unlike a smartphone you’re not going to want to spend fifteen minutes catching up on Twitter on your watch, it’s really meant for short bursts of use. The Apple Watch will be getting a software update later this year which should speed up apps by running them natively on the watch but there’s no getting around that there are limited things that the Apple Watch does better than your phone. And you’ll still need a phone because the Apple Watch needs to be connected for everything besides basic tasks. Not only that but you’ll need an iPhone 5 or newer that supports Bluetooth 4.0. As long as you keep your smartphone on you this isn’t a problem but this also means that a lot of the things you might want to do on your watch just makes more sense to do on your phone. So the big question is, what does the Apple Watch actually do? First of all it’s a watch. It’s really not too far removed from jewelry so the looks are important. It might not have the awesome round screen from the Moto 360 but I do think it looks nicer in person than it does in pictures, it’s a nicely crafted piece of tech that’s surprisingly comfortable to wear. The watch comes in several materials and colors and the bands are easy to change and have a decent variety but the downside is that nothing about this is cheap. One of the most useful things about the Apple Watch is a bit of a weird one, it’s the notifications. It might seem like a small thing but getting a small tap on the wrist to quickly glance at makes a big difference in my every day life. Instead of pulling my phone out of my pocket dozens of times a day I can handle basic stuff like responding to texts using voice or archiving an email with a quick tap. The fitness tracking also works well, throughout the day the Apple Watch measures your heart rate and tracks how many hours you stand, calories you burn and minutes of exercise you do. The essentials are fairly rock solid, you have a few watch faces to choose from although the most useful ones are by far the most boring. You do have to raise your wrist to turn on the screen but it has a really nice OLED display and the battery life is surprisingly decent, it easily makes it through a full day of use with enough for two if I go easy on it. What it really comes down to is what are you expecting to do on a smartwatch? On one hand the Apple Watch is expensive, the apps aren’t particularly good and you’re essentially forced to keep it paired with an iPhone. On the other this still does a lot more than a traditional watch and for tasks that actually make sense to do on your wrist the Apple Watch does a good job. The big question though is for you guys, what do you want to be able to do on a smartwatch? Definitely be sure to let me know in the comments below.